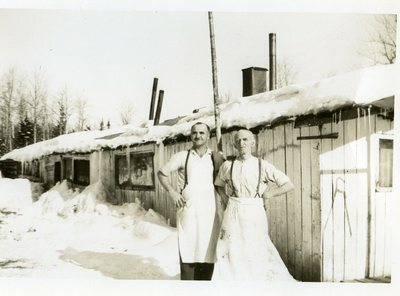 An image scanned from a black and white photograph of two men in aprons standing in front of a building. The number 912 is stamped in ink on the back, but it is not clear whether the number refers to the date the image was taken. No additional information appears on the back of the photograph.